Autumn's yellow foliage illuminated by the sun give the water a welcoming glow of gold. 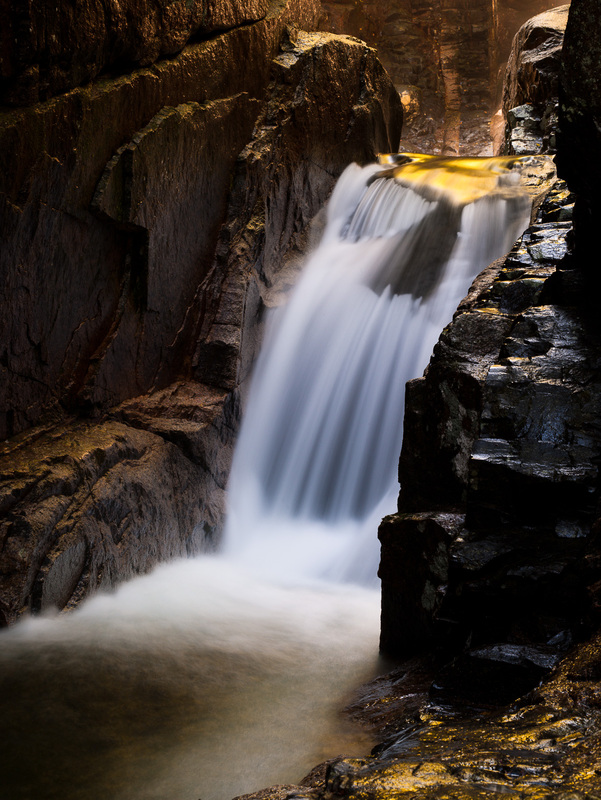 Sabbaday falls is a little gem off of Kancamagus Highway in the White Mountains. Photo © copyright by Lance B. Carter.